So, you've seen our Roadshow, and you're ready to get involved!? We, too, were moved to action after hearing these shocking facts. Let's get started! Get Involved: Sign up for SOSAZ emails to stay informed and receive our Weekly Legislative Report HERE. Like us on Facebook to get up-to-date information. Get Connected: Look up your Legislative District (LD) and find your Legislators' contact information HERE. Become a Roadshow Presenter: Want to be trained to present? Sign up HERE today! We'll be in touch to connect you with a virtual or in-person training. Set up another presentation: Want to request a Roadshow presentation for another group? Sign up HERE and we'll set it up for you. 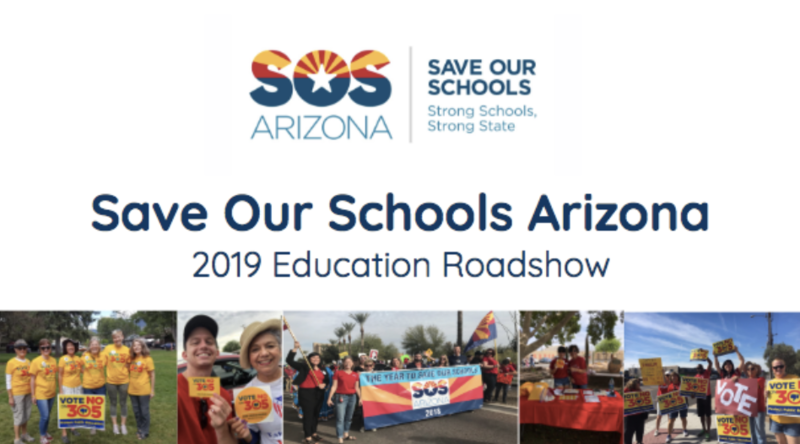 Read SOSAZ's "Quick Guide to AZ Education Funding"